After conquering Canada, with a little help from the physical cryptocurrency exchange Bitcoiniacs, the Las Vegas-based Robocoin is planning to ship more than 45 Bitcoin ATMs until March. For now, the first two units of this batch will soon be travelling to Taiwan and Hong Kong, two growing Bitcoin markets. However, the company plans to go beyond Asia: eight machines will be shipped during this month and 39 more will be travelling to their new homes by March. According to a statement issued by the company, and quoted by Venture Beat, “the ensuing liquidity injection from these machines should provide substantial impact on Bitcoin’s valuation, not seen since the buying frenzy in November”, when the digital currency value went over $1,000. 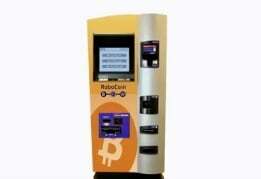 Each Robocoin device costs around $20,000 – a lot more than Lamassu’s crypto ATM, which has a price tag of “only” $5,000 -, but comes with high security features such as government ID and hand scanners. Besides, the devices (which allow to buy, sell and trade Bitcoin) are compliant with local financial regulations, an important detail for the buyers.